Sterling silver is an alloy of silver, containing 92.5% pure silver and 7.5% other metals, usually copper. Fine silver (99.9% pure) is generally too soft for making custom engagement rings, wedding bands and other jewellery items, so it is alloyed with copper to give it strength, durability and to minimise the need for ongoing jewellery repairs. 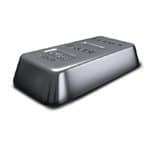 Like other white metals, including platinum and palladium, fine silver is fairly resistant to tarnishing, but when alloyed with other metals, normally copper, it can react with oxygen. Other white metals can be used in the alloy (at extra cost), which will improve resistance to scratching, tarnishing and also preserve the metal’s whiteness. If silver is your metal of choice, our specialised and highly experienced designer jewellers can sit down with you and design a one-of-a-kind piece of jewellery that truly reflects your desires. We can also repair silver chains and remodel any item of existing silver jewellery so that it better suits your current tastes and needs. If you have any questions about how our experienced craftsmen use sterling silver to create beautiful designer jewellery, including diamond engagement and wedding rings, please contact us today by phone, email or visit our Brisbane City workshop. The team at Ashley Douglas are happy to answer all of your questions.